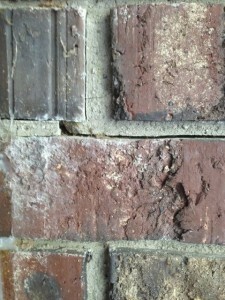 What if the house has a foundation crack but the seller won't fix it? Reader Question: Monty, I recently had a home inspection, and it is noted that my potential property had a crack in the brick due to beam shifting. If the seller does not want to repair the items because he has backup offers, what can I use as negotiating power? Thanks. Josh D.
Monty’s Answer: Hello Josh, and thanks for your question. Every state has somewhat different approaches to the “standard” inspection contingency. This includes different definitions of key terms such as “amendments” or “notices”. Your agent can explain the differences and if they are applicable in your state. In most cases, the contingencies were designed to allow the buyer out of the contract if defects were discovered and whether or not the seller has the right to correct them. When dealing with a seller who has “backup offers”, the inspection contingency could work against you. There are markets today where one of the strategies suggested for winning in a multiple offer situation is to forego the inspection. 1. The seller may have the same crack pop up with other offers. Suggest the two of you meet and try to get to the bottom of it. Some states require that defects that appear in a home inspection be required to amend the original sellers condition report and provided to subsequent prospects so they may not be able to avoid it. 2. Consider playing the “fairness” card. Many of us still believe in “doing the right thing”, and you were there first. 3. Your inspector could be wrong, or is overestimating the severity of the problem. How long has the crack existed? If it has been there since the seller bought the home years ago and not expanded, it has stood the test of time. It may not be an issue. You can improve your position with the seller during your interaction with them. Investigate further, possibly by asking the seller if a structural engineer can take a look. Again, your agent can advise the precise timing and method for engaging with the seller. For example, depending on the law, in some states the seller agreeing to allow an engineer to examine the problem may not extend the deadlines in the original contingency. Be very careful not to let the contract expire. 4. Some cracks “come and go”. They appear and disappear with particular events, such as change of seasons and weather conditions, and are what I call “serial cracks”. 5. Depending on the severity of the crack and the cost to repair you may want to accept the home “as is” and absorb the cost, or attempt to negotiate a cost sharing strategy together. What forces are causing the beam to shift? Can the beam be shored up or repaired to cause the crack to disappear or prevent it from worsening? How much will it cost to determine this? How much will it cost to repair? Does it even require repair? Has the seller expressed they will go to a back-up offer if you require it repaired, or are you anticipating the seller may take that position? If the seller has already taken the position to accept “as is” or they will move on to the backup offers, do you have time to get a second opinion? If not, there are only two choices. As a buyer, it seems uncomfortable to feel forced to make a decision under these circumstances. I would be reluctant to proceed under the belief that another home that may even be better will come along, if there is time to wait. I hope this information is helpful, Josh. Ask me other questions.